Take a trip into the imagination of the ancient Greeks! This year we will study the lore of Greek Mythology, read an adaptation of The Iliad with the book Black Ships Before Troy, and read a text connecting novel Percy Jackson and the Olympians: The Lightning Thief. Below you will find some helpful information about the Greek Gods. 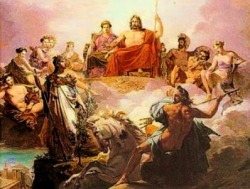 GreekMythology.com has information on all subjects of Greek Mythology, including details on Greek Gods and Greek Goddesses, Greek Myths and Greek Heroes like Achilles and Hercules. It also has full text of Greek Mythology and Literature books. After clicking on the above link, click on anything you'd like to know about Greek Mythology. Be sure to take a peek at the interactive family tree located at the bottom of the page. This student-created website includes information about the history, geography, and creatures of Greek mythology. Encyclopedia Mythica pronunciation guide The main function of this guide is to give readers at least some idea of how to pronounce the names of the various deities which will be mentioned during our study of Greek mythology. How does Greek mythology relate to today? 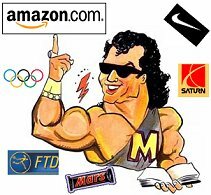 Check out all the company names that refer to mythology! The following is the PowerPoint which I will use in class. Wait...how are they related? The Greek mythology family tree is here! 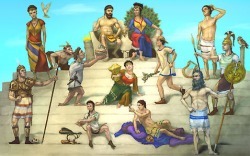 Fabulous website including family tree and biographies for all Greek gods and their family members.